Venturing out for pike in January ! It’s the start of January, work is back on the agenda, rain is lashing sideways on my window, even a kestrel has landed on my window sill to shelter from the driving rain and lost opportunities in search of pike over Christmas play on my mind. Only now the unemployed, unemployable, retired or just plain fortunate can benefit from a short mid-week session in search of Esox. 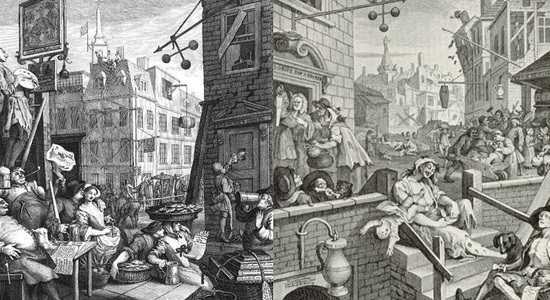 At weekends with limited time the challenge is to leave the comfort of your own home or the lure of the local for a pint of brown and an open fire. January is a fine month for short sessions in the pub, while others take themselves jogging around the park, detoxing and stretching muscles they thought they never had, the January pub is a quiet place for the guiltless few to be enjoyed before the joggers return in a month or two…dissapointed, as predictable as the returning swifts! But a far more rewarding day can be had venturing out for pike! Armed with gimp wire, a small bag of basics, a few sprats and some plugs, one can be lost in a darkened grey scene with only the orange or yellow of a bung to focus on. So my next excursion will be on the Regents Canal where my friends narrow boat is moored for the winter months. It’s a spot that holds pike, only a few months ago I watched a young eastern european lad (wearing a jaunty placed grey/silver Trilby) spin for pike and although not connecting with one, managed to lure two away from their lair, only at the last-minute the pike veered off, maybe the pike saw that silvery hat! So without Trilby I shall be on the Regents and The Hertford Union Canal around Victoria Park in E3 in the month of January and February in search of Esox with the added bonus of a wood burner and hot tea to make the experience a little more comfortable. 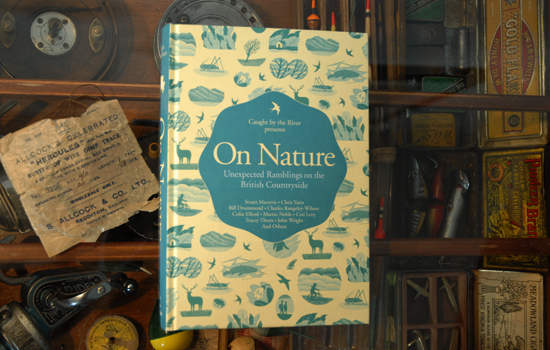 For those who don’t make it out this winter for pike may instead want to read ‘On Nature’ the second compilation by the Caught by the River crowd. 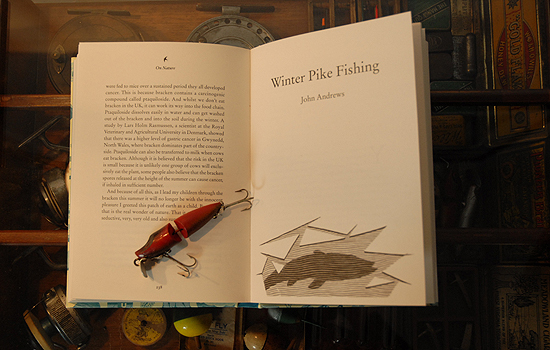 Part of that crowd is John Andrews who has written (with a lot more skill than I can ever hope to) a piece titled ‘Winter Pike Fishing’, this short, sums up the pike and the pike angler perfectly for me. 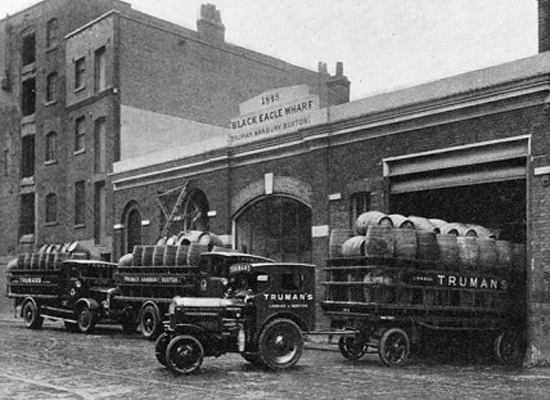 Other writers include Chris Yates, Dexter Petley, Luke Jennings, Bill Drummond and Charles Rangeley-Wilson. Just as I write this an email has come in from John Andrews also supporting the January social scene with a gathering at The Stag in Hampstead on the 24th January with the first Caught by the River event of 2012. See you there?